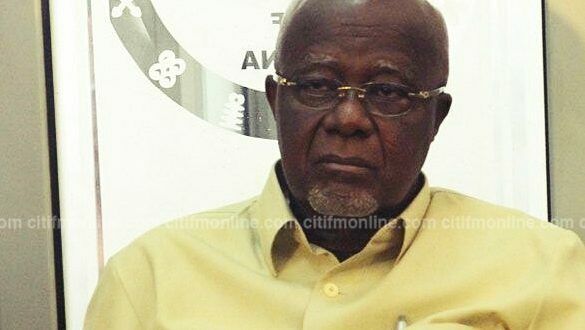 The Board Chairman of Ghana Cocoa Board (COCOBOD), Hackman Owusu-Agyeman, has rubbished calls by some workers of the company for his removal, saying they are borne out of a desire to fight his transformational agenda for the organization. About 60 workers of COCOBOD in Kumasi during the May Day celebration, called for the immediate removal of Mr. Owusu-Agyemang. The workers accused him of usurping the authority of the Chief Executive of the company and denying the workers what is due them. The angry workers, held placards at the May Day event at the Baba Yara Sports stadium in Kumasi on Tuesday, with various inscriptions to convey their demands. Responding to these calls, Mr. Owusu-Agyemang said the workers were calling for his removal due to some reforms he had introduced since he took over the helm of affairs. The workers had complained that their salary had not seen any increment in three years, along with the fact that the monthly deductions made for retirement benefits are not accruing any interests. “According to them, their management had agreed to release the ESB, but had not received approval from Mr. Owusu-Agyemang. They therefore told the government to expect an escalation in their protests if their demands are not met.